Come explore ancient Egypt and relax in the dusky African sun. An old classic slot turns mobile, and with palm trees, papyrus, Ramesses and Cleopatra all making an appearance, this slot has wide appeal. The animations aren’t superb but then let’s not forget this was the first slot to provide the 3D movements we’ve become so use to seeing in modern online slots. For those who’ve been playing slots for a while, it’s a walk down memory lane as you re-find an old classic. That said, because it was one of the first, the features are predictable and rare to get. But for the same reason you don’t play Pacman for the storyline, you don’t play Ramesses for the features. Wild: Ramesses himself is the wild symbol, doubling any winning combination instantly and substituting all symbols except the scattered Ankh. Ankh Symbol: Get three or more Ankh to get some great free spins. With the likely hood of getting at least twelve free spins, all wins are tripled during the free spins. However, if during the free spins you get additional Ankh, you’ll receive four free spins for each that come – giving you a maximum of 20 free spins which can be won. If you get a Wilds symbol at any point, your winnings are multiplied by six. 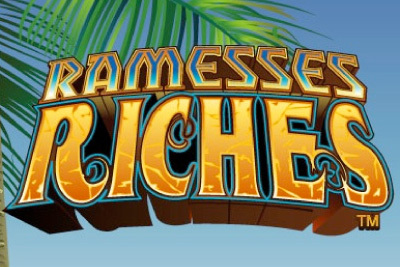 An oldie, but goodie, rediscover the magic of the pharaohs with Ramesses Riches mobile slot.